Australian Open 2017 стартует в 10 часов утра в понедельник 16 Январь. Рассадка и опыт гостеприимства можно приобрести билеты прямо сейчас. Продукты питания и напитки и развлекательные программы действия будут продолжаться до тех пор конце игры каждый вечер. Australian Open не только о теннисе. Из всплывающих ресторанов ведущих шеф-поваров к вкусной уличной еды, Australian Open 2017 is also the ultimate foodie destination. It’s almost that time of year again! The Australian Open returns to Melbourne Park this January for two weeks of on and off-court action. 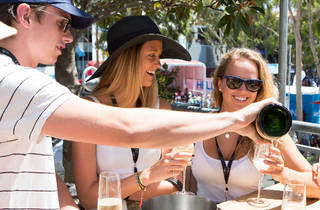 Get ahead of the crowds, and satisfy your inner foodie by booking an Australian Open seating and hospitality experience. 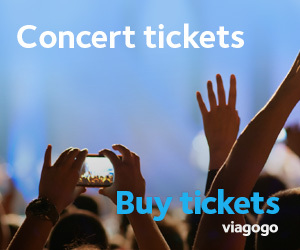 On sale now, you can book prior to general ticket sales which kicks off October 11. Settle in for a long lunch or dinner with stunning views of the city skyline and the Yarra River at New York-style steakhouse Grass & Grain, which specialises in high-quality grain and grass-fed beef steaks. Drop into Cucina di Casa for wood-fired pizzas made to order on the spot, pop into Billie Chu for an Asian feast and cocktails, and bring along some friends for a casual drink and a bite to eat at Champion’s Bar. The Laneway Club is the stuff of street food dreams, which means you can come by any time of the day to enjoy some delicious street eats and live DJ entertainment. There’s going to be some world-class players on the courts, so expect world-class dining off-court. Chef Scott Pickett will be bringing his Northcote restaurant Estelle by Scott Pickett to the Australian Open and will be heading a team of chefs to serve up a menu fit for the world’s best tennis players and the most ardent fans at the pop-up restaurant. В конце концов, keep an eye out for this year’s music line-up; there will be some serious off-court live entertainment happening day and night. Visit the Australian Open website for event details.